Terror Films To Release Halloween Horror Flick THE BARN - Trailer Is Within! Terror Films is kicking off the summer with one of the most anticipated Horror films from writer/director Justin M. Seaman titled THE BARN. Celebrated by The Horror Society Awards with an award in 2016, THE BARN will be available on major Digital platforms in a couple of days. THE BARN has racked up multiple awards across 38 film festivals. Head on down below to have a look at the trailer. THE BARN stars Mitchell Musolino, Will Stout, Lexi Dripps, Cortland Woodard, Nikki Darling, Nickoluas Joshua, Linnea Quigley, and Ari Lehman. "Halloween night, in 1989. Best friends Sam and Josh are trying to enjoy what's left of their final 'Devil's Night' before graduating from high school. However, trouble arises when the two pals and a group of friends take a detour on their way to a rock concert. They find an old abandoned barn and awaken the evil that lurks inside. Now it's up to Sam and Josh to find a way to protect their friends and defeat the creatures that lurk within "The Barn." 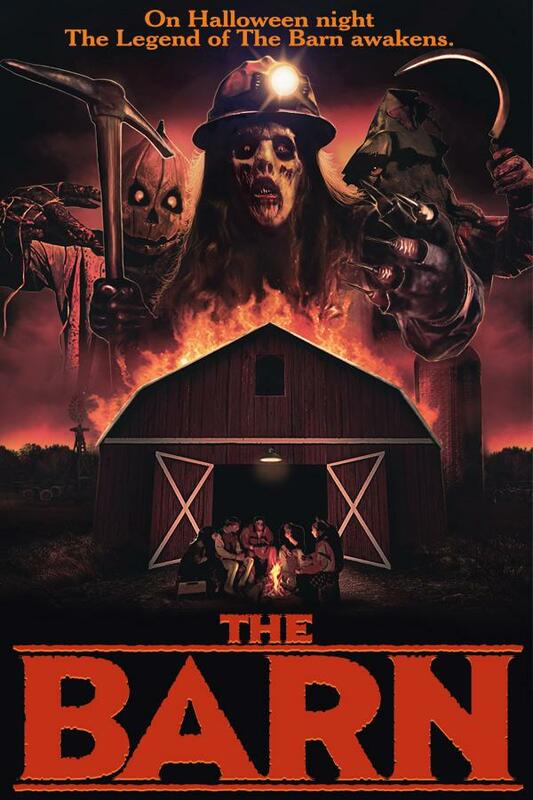 Terror Films is set to release THE BARN in North America on July 27th.